It was, however, the relatively friendly Koreans whom the Aizu men engaged most frequently and personally. As Choson emissaries made their way overland to Edo for their audience with the shogun, an official Japanese party greeted them along the way, and Aizu samurai were a part of this envoy five times between 1682 and 1764. On three of these occasions, the Koreans paid a visit to the Aizu mansion in Edo, sharing tea and tobacco with the hosts and leaving gifts of black hemp, ink brushes, and the obligatory ginseng. 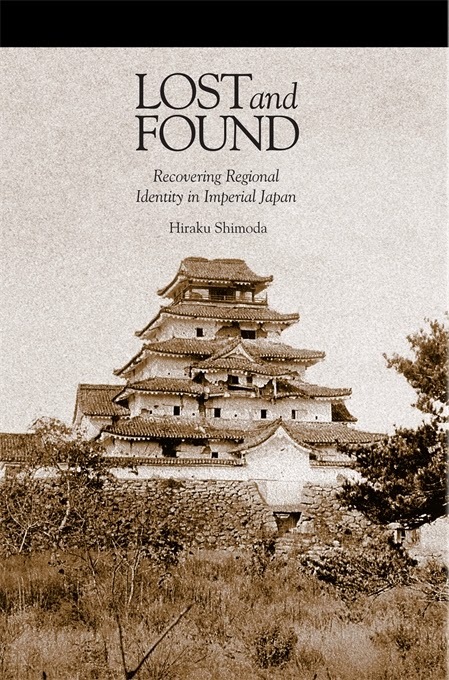 Aizu is a region presently incorporated in the Fukushima Prefecture and is the subject of Shimoda’s book which is, by all accounts, an honest interrogation of the notion of regional identity. 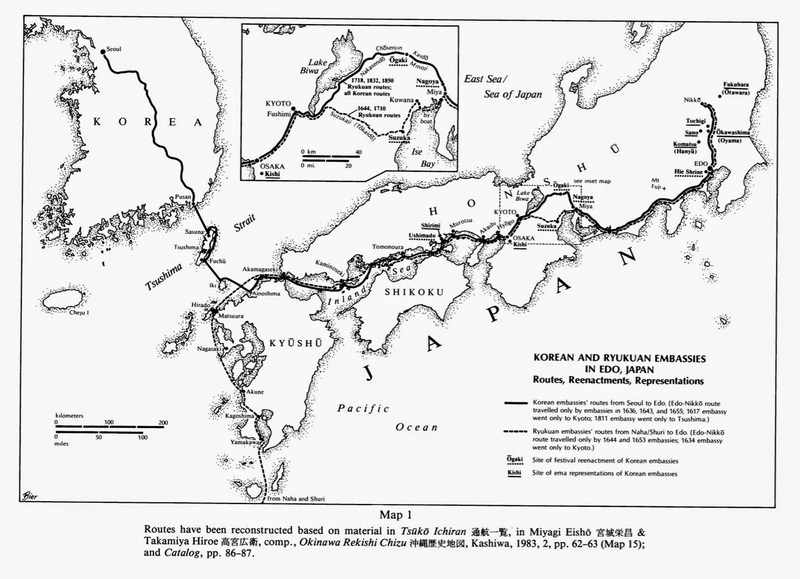 I’m uploading here an informative map extracted from Ronald B. Toby’s article (from my previous review) to give an idea how far the Korean envoys had to travel from Seoul to Edo (which was probably a good reason why the visits were so rare, considering the means of transport and the road infrastructure of the Edo Period — only twelve times have the Koreans embarked on this lengthy, tiresome trip).